The inspiration for Swarthmore Cares—an Atlanta Connection outreach program— emerged from a strategic planning conversation about alumni engagement that Atlanta Swarthmoreans had with Alumni Council member Amy Lansky Knowlton ’87 last January. An alumnus’s interest in seeing the Atlanta Connection do something as a group sparked interest in volunteering. “We decided on community service—something that would make an impact—and then to move onto something social afterwards,” says Connection Chair Emily Nolte ’07. 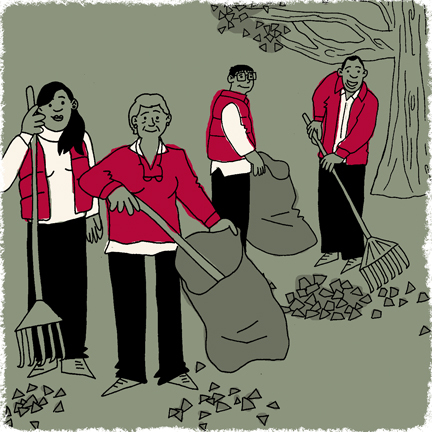 This fall, Swarthmore Cares will hold its third community service event, helping with the maintenance of one of the city’s parks. 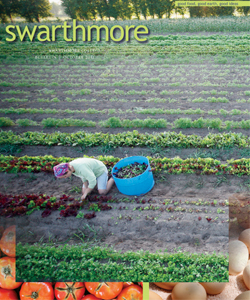 Swarthmore Cares plans to do three projects a year, focusing on healthcare, the Atlanta Community Food Bank, and a green event. In March, the group launched its first project, devoting three hours to sorting supplies for MedShare International, a nonprofit that collects surplus medical supplies and equipment and redistributes them to qualified healthcare facilities in the developing world. Afterwards, the alumni headed to the Brick Store Pub in Decatur, Ga., for food and drink, says Nolte. On July 7, alumni volunteered at the Atlanta Community Food Bank, sorting 5,252 pounds of frozen meat that was used for 3,501 meals. Both Valleroy and Nolte urge other Swarthmore Connections to explore the formation of a Swarthmore Cares in their own cities. “It’s a good way to bring out alumni,” says Nolte.